India is full of awe-inspiring places to enthrall and inspire visitors. And, given the vast expanse and sheer diversity of this South Asian country, there are plenty of untouched and unexplored places. But if we had to choose only 17, here’s our pick. The scenic hills of the Western Ghats, mist-covered valleys, lush tea plantations and forest-lands combine to create the spectacular natural landscape of this hill station. There are numerous trekking trails that wind through the hills, as well as rare and unique flora and fauna, including exotic butterflies, mountain flowers and wild orchids. Further, the route to get here involves 22 hairpin turns, an engineering marvel. 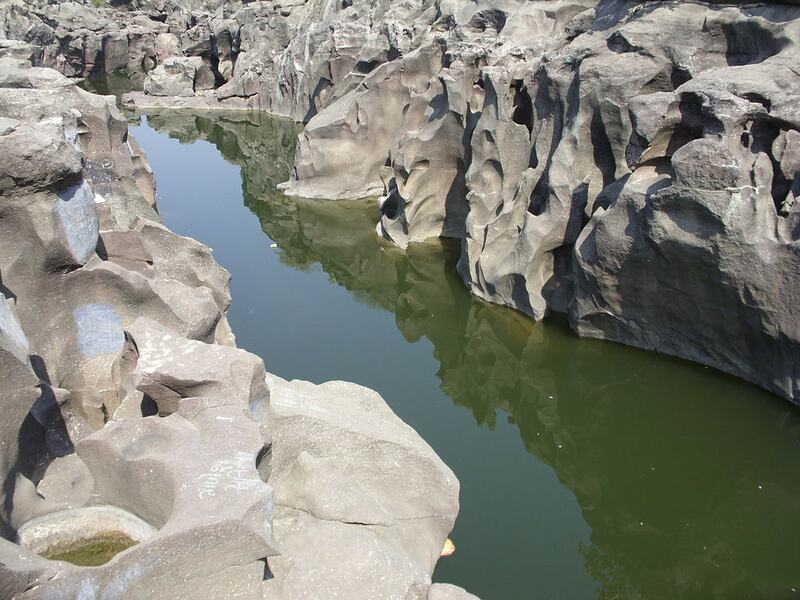 Nighoj is a small village located in the Ahmednagar district of Maharashtra, and home to naturally created potholes carved into the basalt river bed. These dramatic pot-shaped craters of various sizes and shapes are said to have been formed by the waters of Kukadi River over 1000 years ago. They are thought to be Asia’s largest natural potholes. The best time to see them is in the summer, when the water level is low–just be sure to wear sturdy footwear to walk on the rocks! While in the area, it is also worth visiting another unique village nearby, Morachi Chincholi, which is home to thousands of peacocks. It’s known as the town of dancing peacocks. Interested in knowing about the earliest human habitation in the Indian subcontinent? Head to Bhimbetka in Madhya Pradesh. This place is home to a series of rock shelters with artwork dating as far back as 30,000 years, thus showcasing the signs of human evolution. Early denizens left their mark on the rock shelters by painting animals, human figures, battle scenes and celebrations in different geometrical shapes on the walls. Located about 35 miles from the nearest city (Bhopal), the rock shelter’s isolation helped preserve its prehistoric art. The best time to visit is April to October. The rock shelters are closed during monsoon. 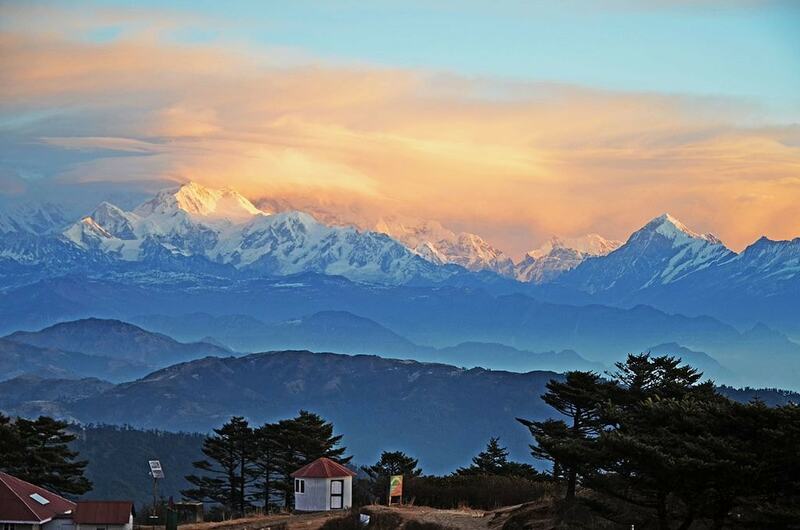 Located at a heart-fluttering elevation of 3,636 meters, Sandakphu is the highest peak in West Bengal, and is largely undiscovered. Though the peak is notorious for its poisonous plants (Himalayan Cobra Lilies), the breathtaking panoramic vistas of four of the highest peaks in the world from its summit makes it a worthwhile destination. 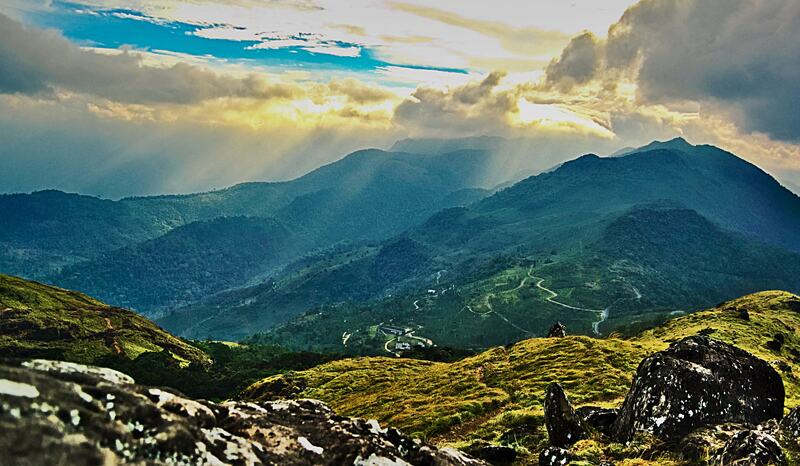 You can reach the peak by trekking, starting from Manebhanjan and passing through dense forests and valleys. The trek is challenging and requires a high level of fitness, but once you reach the summit you will be rewarded with stunning views of Kanchenjunga, Everest, Makalu and Lhotse. There is a small hamlet on the hilltop with a few hostels, so you can spend a day or two here and soak in the pristine natural beauty of the surroundings. 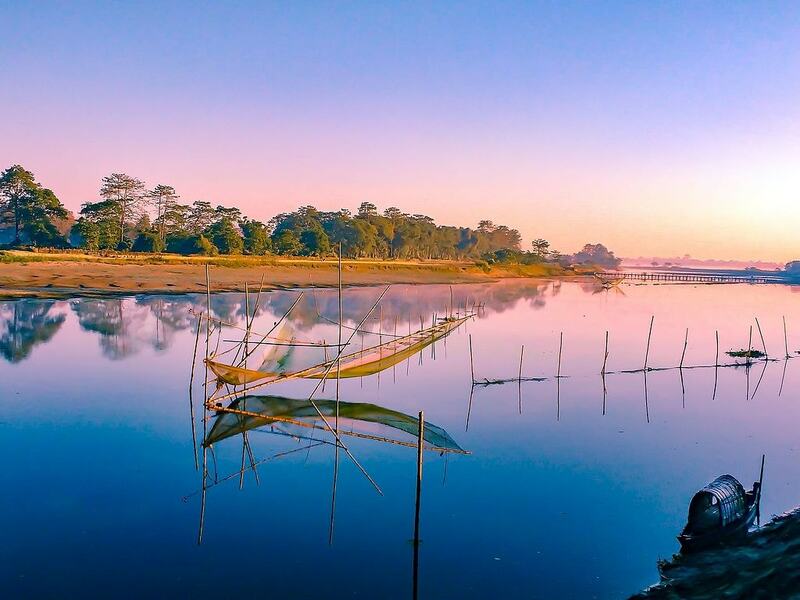 Set on the banks of the Brahmaputra River, Majuli is considered to be one of the largest river islands in the world. It brims with lush greenery, vibrant culture, diverse flora and fauna, and warm and welcoming tribal inhabitants that will make the trip here unforgettable. Stroll around the island and make a point of visiting the Vishnu monastery that dates back to the 15th century. You can also spot a variety of birds species here, making it a paradise for twitchers. A boat tour is the best way to observe the winged beauties of this island. Mechuka is a small hamlet where stunning views of snow-capped peaks, abundant natural beauty, friendly and warm local tribespeople, and relaxed pace of life make it a welcoming respite from frenetic cities. 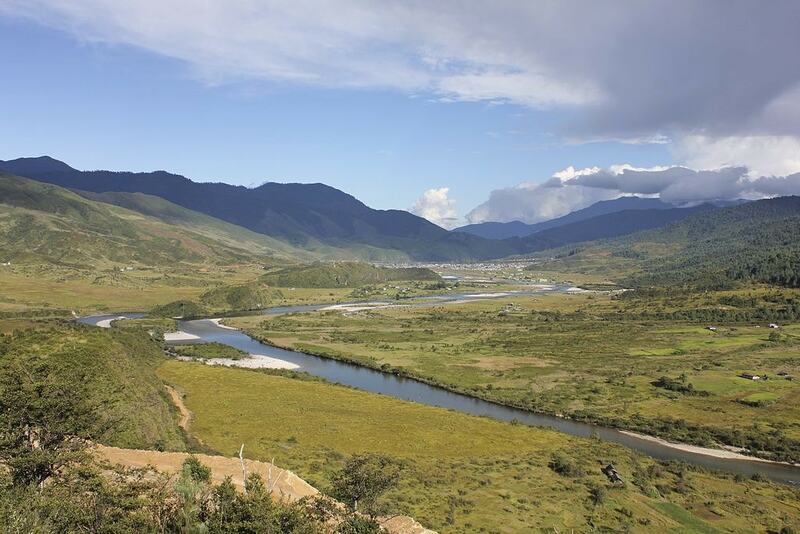 Visitors can take a nature walk through the countryside, spend some time in the 400-year old Samten Yongcha monastery and marvel at the mighty River Siyom that flows through the valley. More adventurous visitors can try thrilling river rafting under the bamboo bridges that hang over the raging Siyom River. This picturesque hamlet, set at an altitude of 2,590 meters amid coniferous trees, lush vegetation and sun-kissed mountains is undeniably enchanting. In terms of sightseeing excursions, there is a Surkanda Devi temple (dedicated to Goddess Sati) and Tehri Dam. For thrill-seekers there is plenty to do, from jungle safaris and wildlife spotting in Kodai forest, to an 80-foot deep valley crossing, rappelling, camping in the wilderness, and trekking through the jungle trails. Be sure to stay at one of the many homestays or Pahadi houses to experience local village life. 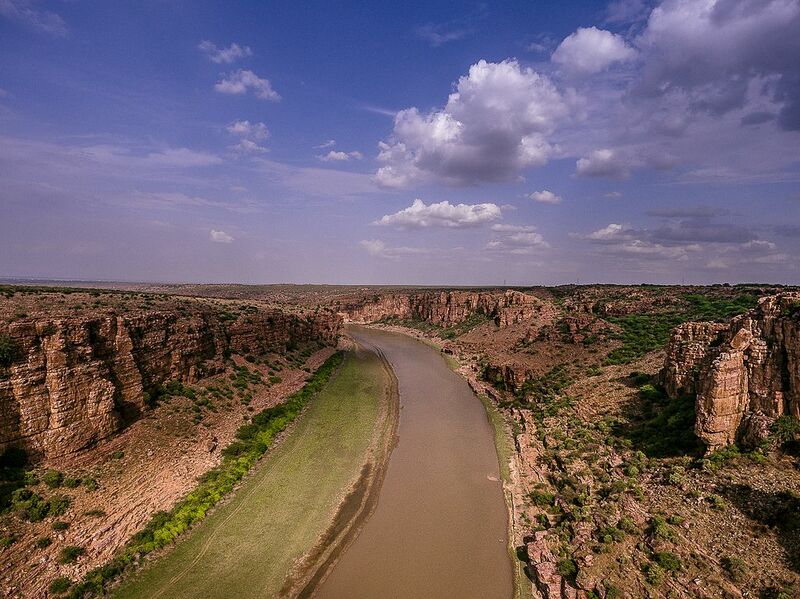 Gandikota is a small village in the Kadapa district of Andhra Pradesh, and home to a 300 foot deep gorge. Said to be carved by the Penna River over thousands of years, the canyon has breathtaking views and the 13th century Gandikota Fort, a red sandstone citadel with 101 bastions. To admire the beauty of the canyon, hike up to the top of the gorge. The hike is moderately challenging but well worth it for the unforgettable vistas of the surrounding hill forests and Penna River. An unmissable place for wildlife enthusiasts is Jawai, located in the Pali district of Rajasthan. This is one of the best places in the country to spot a leopard in the daytime, so it is called the ‘Leopard Hills of India’. Several migratory birds and wild animals are found in the area, including cranes, flamingos, sloth bears, antelopes, and Indian wolves. You can stay at the Jawai Leopard Camp, which is a luxury tented camp hosted by Sujan Luxury Camps & Palaces. Meals, Wi-fi, wilderness drives in Jeeps, experienced guides, massages and swimming pools are on offer. Step back in time at Patan, an ancient city that served as the capital of Gujarat for about 650 years. The city is dotted with nearly 100 Jain temples, forts and lakes. 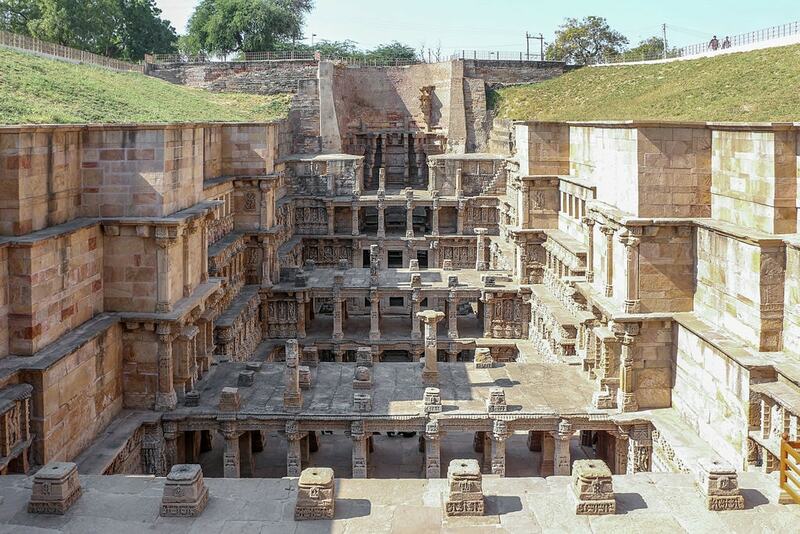 The city’s showstopper is the UNESCO World Heritage Site Rani Ki Vav, an 11th century step-well that boasts intricate carvings, more than 500 sculptures, seven levels of stairs and Mara-Gurjara style of architecture. Don’t forget to buy a Patola sari, one of the world’s finest hand-woven saris and unique to Patan. Often called the ‘lost land’, Dhanushkodi was abandoned following a 1964 cyclone and lies in ruins, but it is stunning nonetheless. Far from the tourist crowds, the town’s serenity, ruins of churches and temples, white sand beaches, turquoise water and astonishing sunrises/sunsets will keep you lingering longer than expected. To reach this forsaken town, take a cab or auto from Rameshwaram to the naval post, and from there take a commander Jeep or minivan. If you want to be one with nature and feel the beauty of solitude, Shoja is your place. It is a peaceful village surrounded by snow-capped mountains and coniferous and deodar forests. You can take a leisurely stroll to the Serolsar Lake (known for its breathtaking sunsets), go hiking to the nearby waterfalls, or simply enjoy the peace and quiet. Dzongu is a remote village located about 49 miles from Gangtok, encircled by lush greenery and mountain peaks. It is home to the Lepcha tribe, who have their own cultural traditions and lifestyle. There’s a lake, gushing waterfalls, a small monastery and a bamboo bridge swaying over the Teesta River, where you can go angling, or go for short hikes to nearby villages. There are only homestay options available in this village, which means you can experience the local lifestyle and culture. 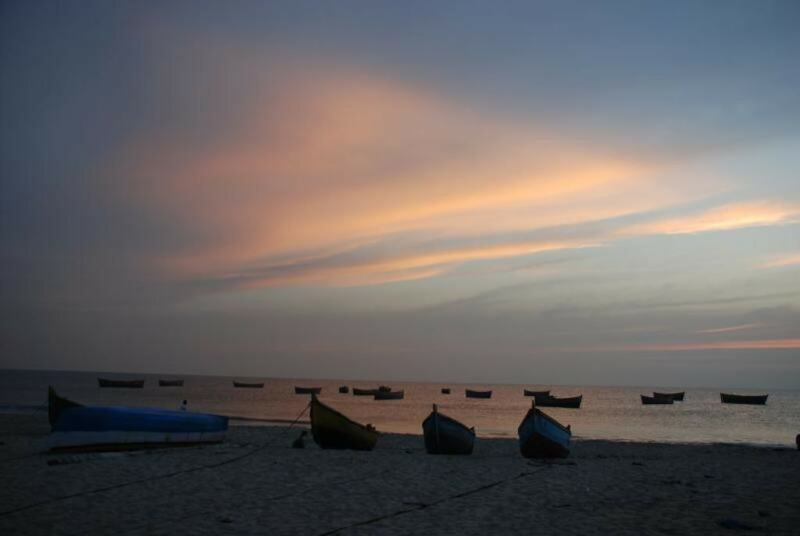 Bakkhali is a small seaside hamlet on the West Bengal coast, where you can relax on the crowd-free beach and enjoy the soothing sounds of ocean waves and the spectacular views of the sunset/sunrise. After spending some time on the beach, take a walk around the town and explore its attractions, including a crocodile breeding center, Frasergunj wind park, Bishhalakshmi temple and Jambu Dwip (a fishing spot). 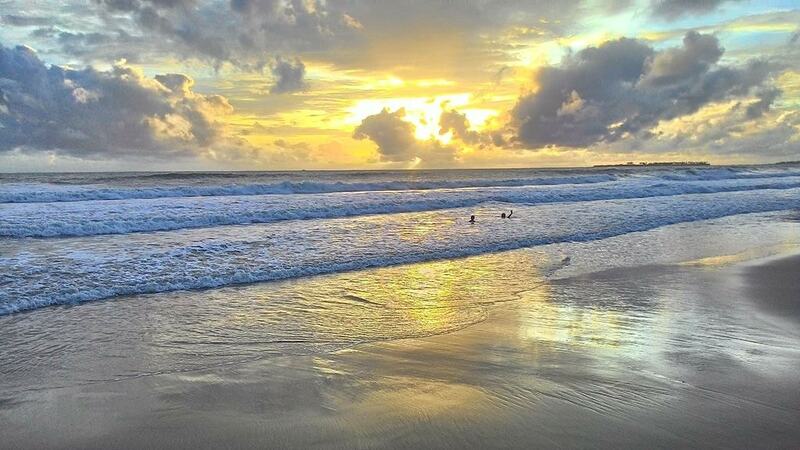 In the Sindhudurg district of Maharashtra, Tarkali is a seaside destination with numerous pristine white sand beaches, calm waters full of marine life and lush greenery. Besides chilling out by the beach, you can go scuba diving and get up close with colourful tropical fish, turtles and other marine creatures, or indulge in water sports like kayaking, jet-skiing, parasailing, speed boat rides or banana boat rides. If you visit between February and October you can spot dolphins. And, don’t forget to treat your taste buds with local Malvani cuisine. Untarnished by commercialisation, Gavi is an eco-tourist destination encircled by miles of natural beauty. The village has tropical forests, scenic lakes, hills, cardamom plantations, gushing waterfalls, and diverse flora and fauna. 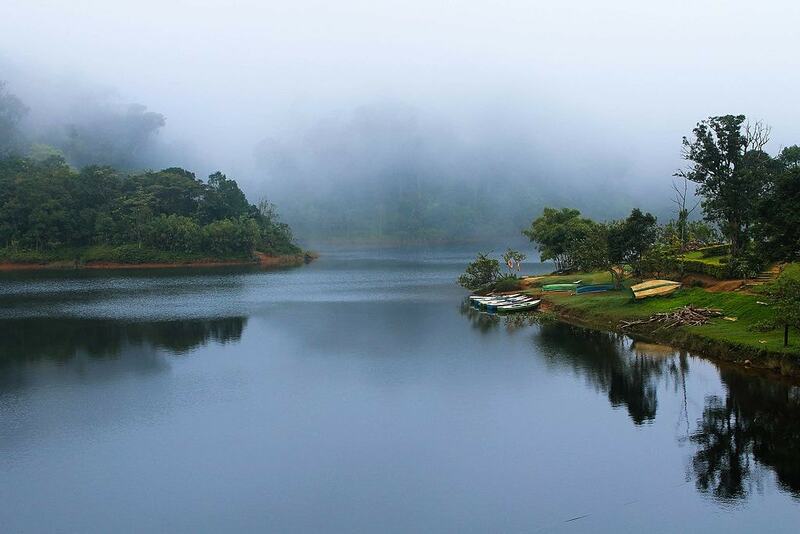 Visitors can go canoeing in the calm waters of the lake, trekking in the hills, camping in the forests or wildlife spotting. Pitch a tent in the wilderness or opt for tree houses or rustic eco-lodges. 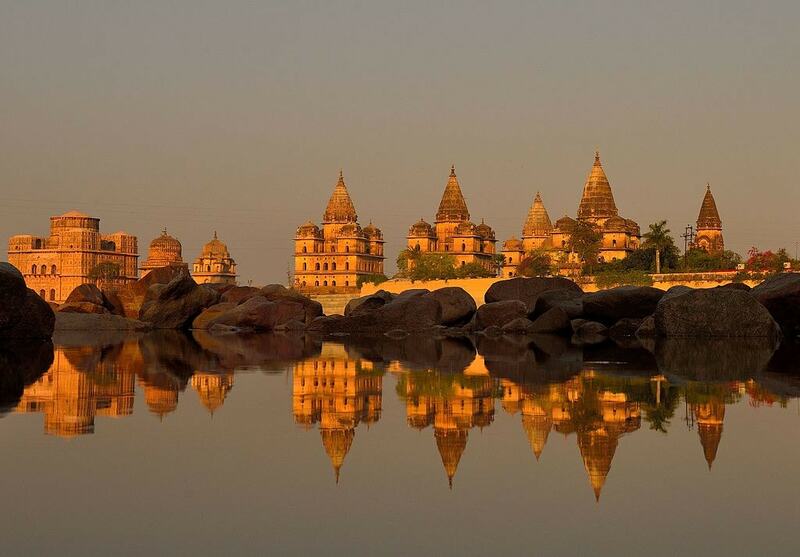 Set on the banks of River Betwa, Orchha is an ancient town rich in history and architecture. Palaces, forts, temples, cenotaphs and step-wells date from the 16th century. For wildlife and adventure enthusiasts, the wildlife sanctuary is home to variety of animal and bird species. The Betwa River flows through the sanctuary, making it an ideal spot for adventure activities like rafting, canoeing, and boating.